2Lt Richard H. McClure (CP) - Did not fly on three missions (259, 260 & 261), 2Lt Pursel was CoPilot on two missions (259 & 260) and a substitute CoPilot used on one mission (261). Flew as CoPilot on crew's final seven missions. Crew Bombardier - The crew had no assigned Bombardier. Used five different Bombardiers. 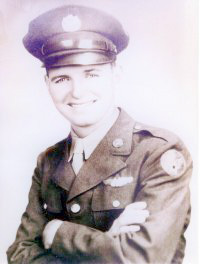 S/Sgt Howard H. Ganson (WG) - Flew no missions with the 2Lt Pursel crew. Crew flew with a single Waist Gunner. S/Sgt Ganson flew on 28 missions with 16 different Pilots (Missions 259 - 18 Oct 1944) through 313 (09 Feb 1945). His B-17 was lost on his last mission (#313 - 9 Feb 45) as a result of a mid-air collision near the target at Lutzkendorf, Germany. 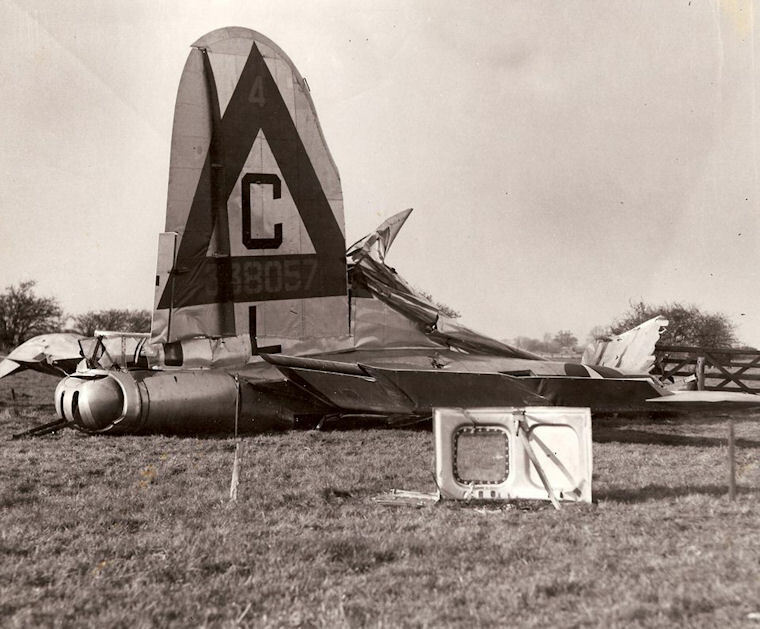 His B-17 crashed near Jaraczewo, Poland. S/Sgt Hanson parachuted and he and two other crewmen were picked up by Russian troops and he returned to Molesworth on 06 March 1945 [MACR 12245). Two of the 18 crewmen became POWs and thirteen were killed in action. Other Crewmen flew on all of the ten 2Lt Pursel crew missions. Sgt Robert G. Hannah, Tail Gunner, alone in the severed tail section of B-17 43-38057, managed to reach the tail escape hatch and bail out. 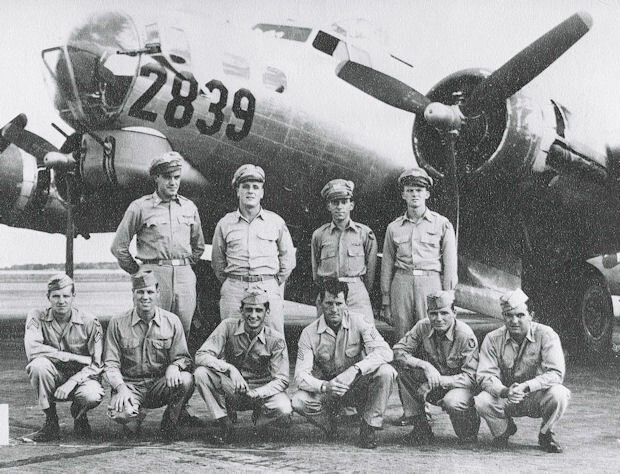 He was the only survivor of the eighteen crewmen on the two B-17s. Following the crash, LtCol Raper, 303rd BG(H) Group Commander, received a letter, with a one pound note enclosed, stating: "Would you please place a small floral tribute on the graves of the boys, so far from home, who lost their lives near here." It was signed, "A Wenlock Mother."